MLS spaceport development area in Nova Scotia on Google Earth. Credit: MLS. The Maritime Launch Services (MLS) environmental Focus Report is a 475 page document. To put that into perspective, it is 11 pages longer than Tuesday’s federal 2019 Budget document. If it’s detail Nova Scotia Environment (NSE) was after, then this report leaves no stone unturned and provides a depth of detail like no previous effort to build a spaceport in Canada, as it should. MLS’s efforts, should they succeed to build Canada’s first commercial spaceport, will be used as a reference point for other efforts. And in time there will be others who will want to build spaceports in the vastness of Canada’s geographic area. A town hall meeting to update the local community last Friday in Canso attracted over 125 people according to MLS. Steve Matier, CEO of MLS told SpaceQ that a petition was circulating within the community to express their support for the project. That news came as a surprise to Matier as he hadn’t been aware of it ahead of time, but he was encouraged by the support. The report was compiled by Maritime Launch Services who relied in part on third party experts including AECOM, a large American multinational engineering firm, and Stantec, a large services company based in Edmonton. The report has 12 sections and 7 appendices. They include; The Project Description, Expertise (page 35), Dangerous Goods Management (page 37), Waste Management (page 53), Water and Soil Resources (page 65), Air Quality (page 79), Noise (page 87), Flora and Fauna (page 92), Fish and Habitat (page 97), Protected Ares and Parks (page 99), Human Health (page 101), and Contingency Planning (page 109). The appendices include; Appendix A – Resumes (page 115), Appendix B – Material Safety Data Sheets (page 145), Appendix C – United Paradyne Corporation Emergency Response Plan (page 215), Appendix D – N-NITROSODIMETHYLAMINE (NDMA) (page 349), Appendix E – Hydrazine and NDMA Analysis (page 419), Appendix F – EPA Method 1625 Revision B: Semivolatile Organic Compounds by Isotope Dilution (page 423), and Appendix G – Maritime Launch Services Insurance Summary (page 465). Clarify how many launches are expected annually. There is inconsistency in the EA Registration Document in this regard. I won’t go into the answers of all the specific questions. They are available from the report which you can download or read below. I will however mention a few points. 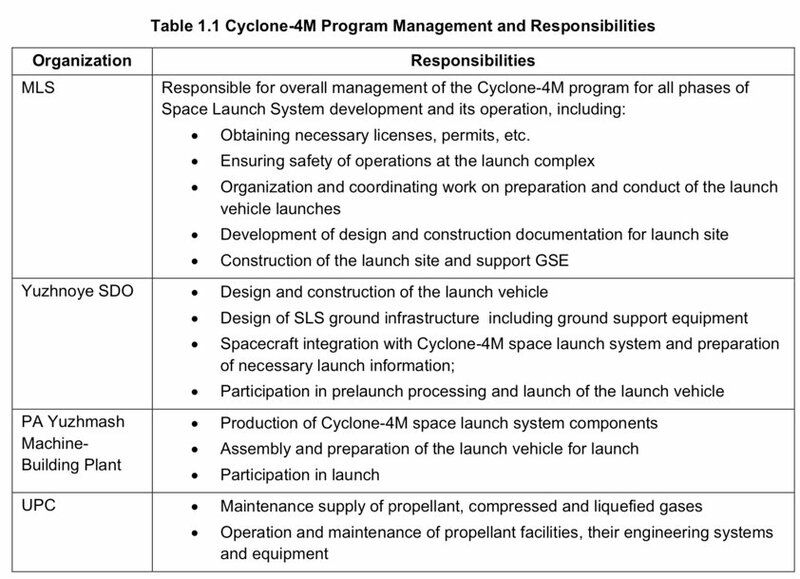 Table 1.1 Cyclone-4M Program Management and Responsibilities. Credit: Maritime Launch Services. It’s important to note here that United Paradyne Corporation (UPC) is a company that has extensive experience in dealing with all manner of fuels including at NASA’s Kennedy Space Center and the U.S. Vandenberg Air Force Base. 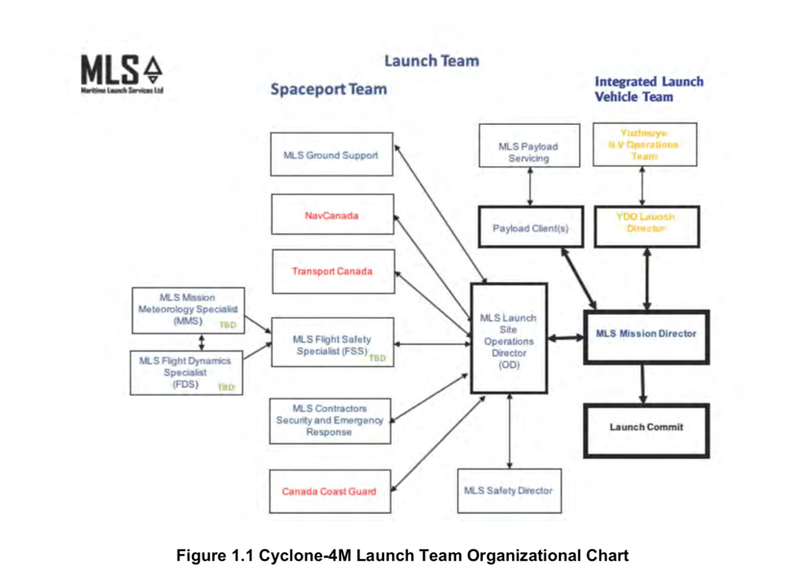 Figure 1.1 shows a launch team organizational chart. Credit: Maritime Launch Services. In clarifying how many launches MLS anticipates having at the spaceport, the report states that they expect to have 159 between 2021-2030. With respect to hydrazine related chemicals, MLS lists all the countries and spaceports that have recently used these chemicals. The list includes the US, Russia, China, Japan, Kazakhstan, South Korea, French Guiana, Brazil, Australia, and Israel. In other words, every country that launches rockets and every spaceport. Examples of spacecraft that use hydrazine and related chemicals include Northrop Grumman’s Cygnus capsule, SpaceX’s Dragon Capsule, and yes, even Canada’s own RADARSAT Constellation Mission satellites which are scheduled to launch in May. The document also has a lengthy section on regulatory requirements and standards focusing on the U.S. where there is extensive documentation available.